Lester Kester will spend at least 31 years behind bars before he can even be considered for parole, a judge ruled. CALDWELL, Idaho — A Caldwell man who sexually assaulted four children over the course of 17 years was sentenced Wednesday to life in prison. Lester Kester, 48, will have to serve 31 years behind bars before he can even be considered for parole, a judge ruled. 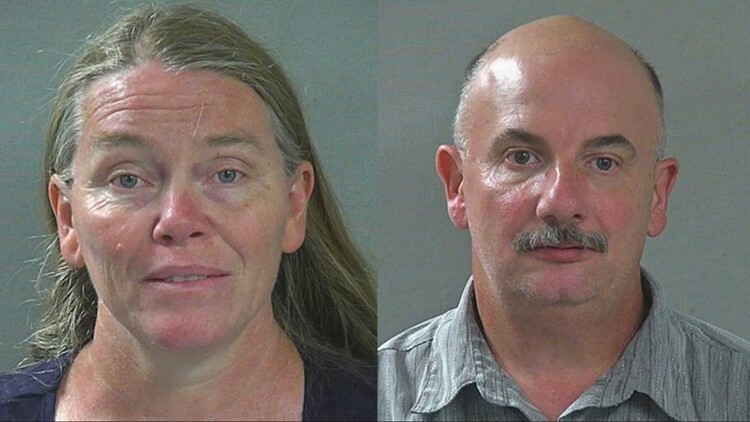 Kester and his wife, 51-year-old Sarah Kester, were arrested last July after the victims - female relatives of the couple - came forward about the abuse. According to investigators, Kester repeatedly sexually assaulted the girls until each was about 10 or 12 years old. According to court documents, Kester admitted to molesting the girls, but told police a "bad guy" or a "demon" had made him to it. Sarah Kester was not accused of participating in the abuse itself, but admitted she knew the children were being molested and did not intervene or alert police. Sarah Kester told police she did not report the sexual abuse because it was against her beliefs to involve agencies like law enforcement, child protection services, or counseling services into her family matters. She was sentenced in February to ten years in prison, but placed on a year-long rider, meaning she will not have to serve out that sentence if she completes the period of retained jurisdiction to a judge's satisfaction.